Mid-Life Cruising!!! : In the Blink of an Eye! Christmas is already over (we hope ya'll had a great one) and the year is coming to an end. We can't believe how fast 2010 went! I swear it's true that the older you get, the faster the time goes. "In the blink of an eye" it's over. Ken and I enjoyed Christmas Day at my brother's home in Mississippi. About 30 family members were there, including my parents, my daughter, and her boyfriend. Since the family is so large, we play the "stealing" game so that anyone that wants to participate just needs to bring one gift. So much less stress! It was good seeing family that we don't get to see any other time of the year. 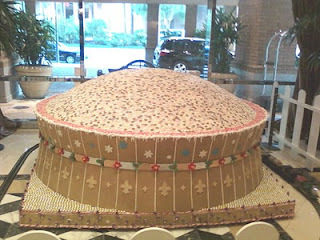 Gingerbread Superdome - Home of our New Orleans Saints! So now that 2010 is almost over, Ken and I have thought about what we've accomplished in the last year and what's on the list for the year 2011. If you've been following us, you know that we purchased our Catalina 30 in November 2009, then hauled out Nirvana and spent 2 1/2 hot months sanding and repainting the bottom, the hull and the boot stripe. We also did several other projects at the time and also held a denaming/renaming ceromony for our sailboat's new name, Nirvana. We had Nirvana back in the water just in time for the 4th of July (the day before) and in the blink of an eye winter set in. 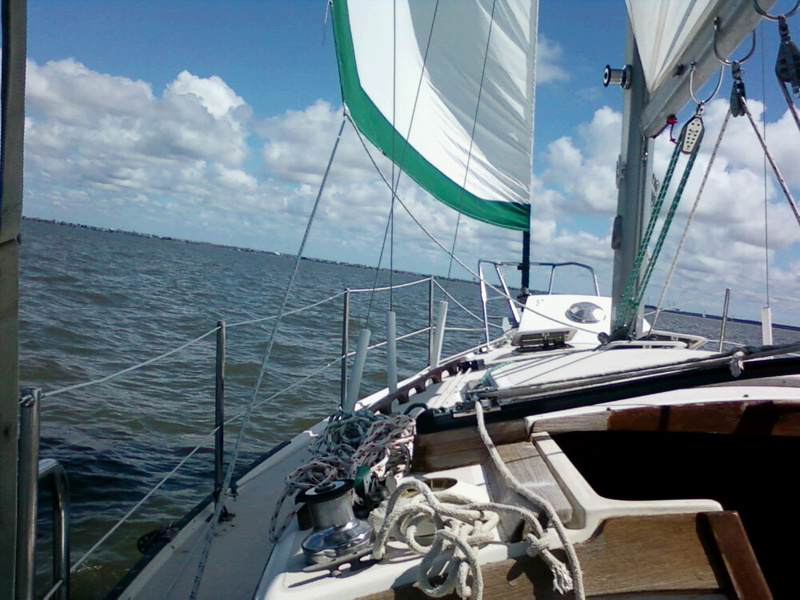 We didn't get as much sailing practice in as we would have liked, but we did sail Lake Pontchartrain a few times and had our first overnight anchorage before it got too cold. 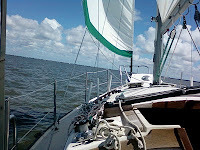 For those who don't know, Ken and I have never really sailed before purchasing our sailboat so we've got a lot to learn! We have had a lot of experience with power boats, but boy are we finding out how different the two types of boats are! However, we've really enjoyed sailing so far, and our overnighter was awesome! On a personal note, we've also watched our daughter hit some major milestones. In 2010 she turned 18, graduated from high school, moved into a dorm about an hour away at LSU, and completed her first semester of college. We can't believe how quickly our baby girl has grown, but we're so proud of the young lady that she's grown into. Oh, and we watched the Saints go to their first Superbowl, and win! Geaux Saints! Remember, I'm a New Orleans native so we were so excited! We have the pics of 2010 on our picture page, as well as pictures from our first sail in 2009, the haul-out project, and other past stuff. So what's in store for 2011? Well, Ken is squeezing in time to improve our house and get it on the market (again) this Spring. We really want to sell it this summer! Once we sell our house, we'll rent a waterfront apartment for one year and we'll then have the money to get Nirvana ready for cruising. Until we sell, we're too broke to do any major improvements to our sailboat. I'm a real estate agent and Ken is a contractor, so the slow housing economy has been killing us the past two years! We can't wait for warmer weather! It seemed last summer was spent in the boatyard (it wasn't but it seemed that way), so we're anxious to really get some sailing in during 2011. We're planning on cruising to Ship Island in Mississippi for our first real getaway sometime in March or April. Then, who knows! 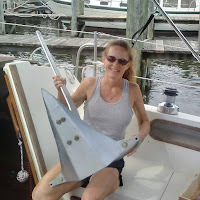 So to sum it up for 2011: sail, get rid of so much stuff!, sail, improve and sell home, shakedown cruise, improve sailboat, sail! Oh, and I guess I have to include work. What a drag! Note: I also wrote an article with great tips for making 2011 a good year! I think it's a great reminder of the basics. Ken and I wish you all "Fair Winds and Following Seas" this New Year! I've noticed that the older I get the faster the time seems to race by. It's still 24 hours a day, but what happens when we get older? I don't know. Wonderful way to spend Christmas and take the stress away with the one gift thing. I like that. Your daughter sounds like she is well on her way. That's always a wonderful thing to watch them blossom. Sounds like a fun Christmas and good plans for the New Year! Your blog is so much fun to follow as you make your dreams come true. Hope your house will sell quickly so that your cruising dreams will come to fruition in the timeframe you're hoping for. Keep up your positive attitudes! Happy New Year! Also got a Nook for Christmas, so now the only books onboard will be related to navigation :) Hope all your plans fall into place this year. Keep up the great writing. Happy New Year Ken and Cheryl! We look forward to following your path to future sailing adventures. We'll be checking in from Mexico to see how you're doing. Hey Ken and Cheryl, We just joined your blog. We are in Mississippi and are in the process of downsizing and moving to Belize. 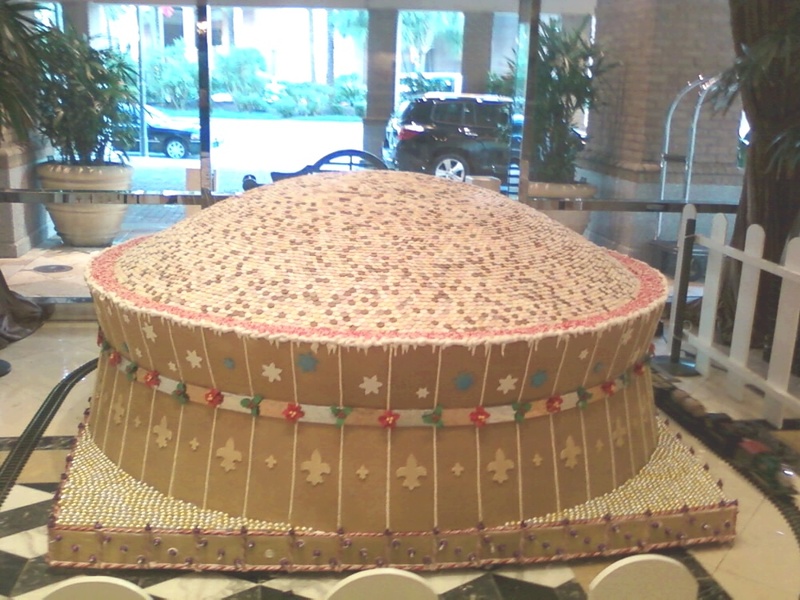 I love the gingerbread superdome. Have a happy New Years and I look forward to reading more on your blog. A very busy year! You've accomplished a lot and I'm sure your house will get sold (I still remember how thrilled I was when I finally got rid of mine) and then before you know it you'll be on your boat. Hi! 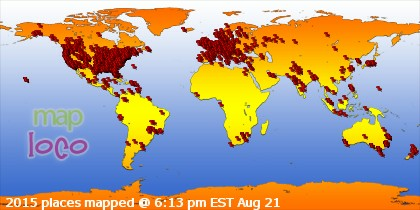 Just found your site...love it. I know I have dreams of changing my life and sailing the Caribbean as well. I'm still relatively young though and need to work for the man for a bit longer. Looking forward to following your site. Thanks everybody and we hope you all have a great year too! You're all doing so many things that we look forward to hearing about. It's going to be an exciting year! Jully Buffet eh? now all you need is a Captain Ron DVD and off you go! :o)) have a healthy happy and prosperous new year! Thanks Rob! Hope your year is a great one! Captain Ron DVD, well we just recently got that too. We kept hearing how great the movie was, and when at Wal-Mart, there is was.. right on top of the clearance pile! So, we bought it, watched it, and loved it! Have to blog about this sailor's classic.